Max. height 240 cm, footprint of just 100 cm. Height can be reduced by cutting off lengths. 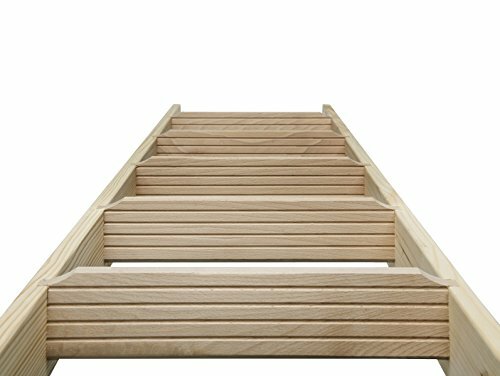 Side sections made of solid spruce wood; steps made of solid beech. Ladder width: 40 cm; tread depth 20 cm; step depth 8.5 cm. Note: this is a kit ladder and includes mounting material. Easy to put up. The maxi space saver ladder kit is suitable for a variety of uses anywhere in the house. 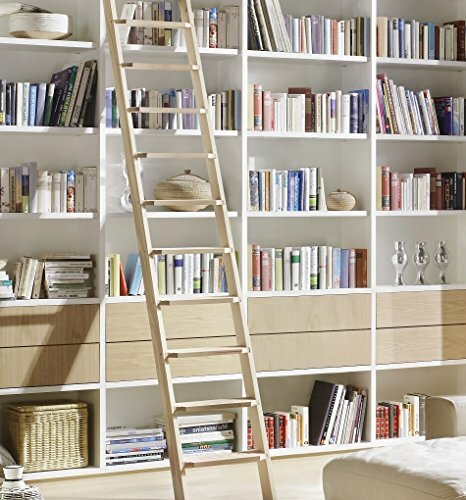 This high-quality ladder has 11 Steps, is made from solid beech / spruce, and its surface has a ribbed structure. Sturdy ladder thanks to the mortised steps with additional bolts on the sides. 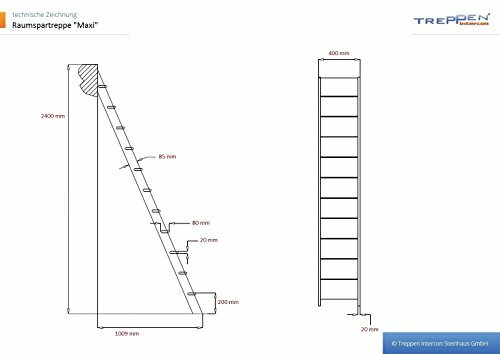 With a footprint of approximately just 1 metre, this indoor staircase kit can save a lot of space. Please give your telephone number (mobile phone) before the delivery and stay at the delivery location until the agreed time to avoid a second deliver (75 euros).